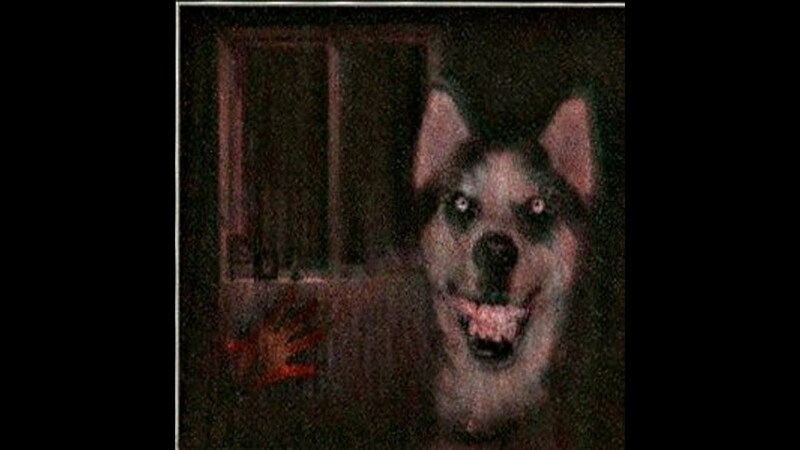 Smile Dog, a creepypasta character. Recently I’ve been delving into a genre of horror that’s grown up on the Internet, and I have to say some of it is quite impressive. I’m talking, of course, about creepypastas. Now, for those of you who’ve never heard of this and think I’m talking about a Halloween treat, a creepypasta is actually kind of like an Internet campfire ghost story, scary stories designed to shock and terrify and that originate online. They’re sometimes accompanied with images, audio or videos, usually distorted or featuring or gore or creepy imagery, in order to intensify the effect. The name “creepypasta” comes from “copypasta”, a slang term for text that is copied and pasted around the Internet multiple times. And even if you’re not familiar with creepypastas in general, you may have heard of some. 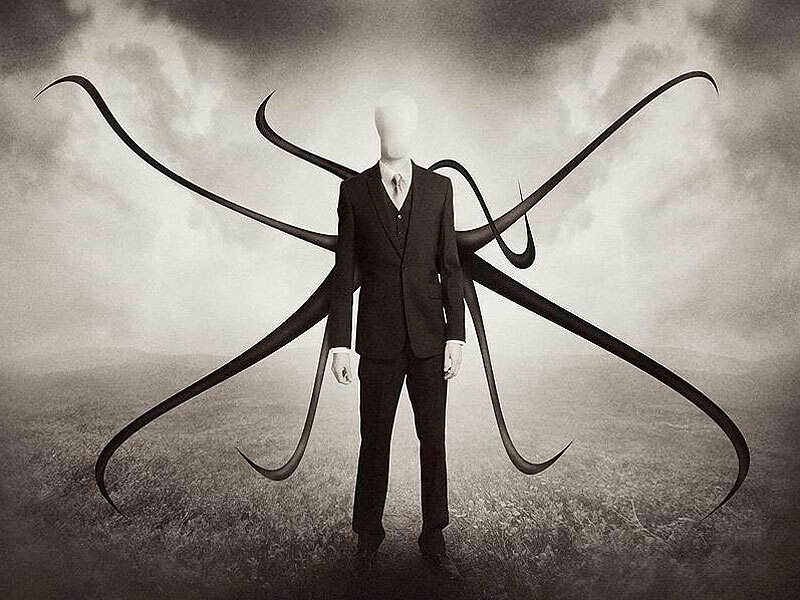 Slender Man, whom I’ve written about on this blog before, has been the subject of numerous creepypastas in the past, to the point where some creepypasta-devoted websites no longer upload new literature about ol’ Slendy. There’s also the novel Penpal, which started out as a series of creepypastas, and Candle Cove, a story that’s reportedly being adapted to television by the Syfy channel. Slender Man has been featured in a variety of creepypasta. Anecdotes: as far as I can tell, these are the most popular of the creepypasta story form. The narrator(s), often anonymous, talks about a scary legend, a new story, or something from their past. The anecdote stories are often told in the epistolary format, or in the form of a letter or journal entry, though this being an Internet phenomena they’re more often told as blog posts or Reddit threads. They’re certainly my favorite form of the genre. Rituals: As the name suggests, these are things you can do to make something terrifying happen to you or someone you know. Examples include the Midnight Game or Bloody Mary (which I’ve tried on numerous occasions, and I’ve never seen any results). Sometimes these rituals have a short backstory, but they can vary, like with the Bloody Mary game. And as you can guess, these are quite fun at parties. Lost Episodes: This form has kind of fallen out of favor but it has some pretty famous creepypastas. Lost episodes usually describe a missing scene or episode from a famous TV show, usually a comedy or children’s show, that depicts a character acting very strangely and violently, usually ending in that character killing themselves or the other cast members. Often times the episodes, when they are supposedly found, feature strange or distorted audio and video, and occasionally are rumored to cause violent behavior in viewers. As you can guess from the description, these are pretty formulaic and repetitive, which is why they’ve lost popularity, though some are quite well known among creepypasta devotees. 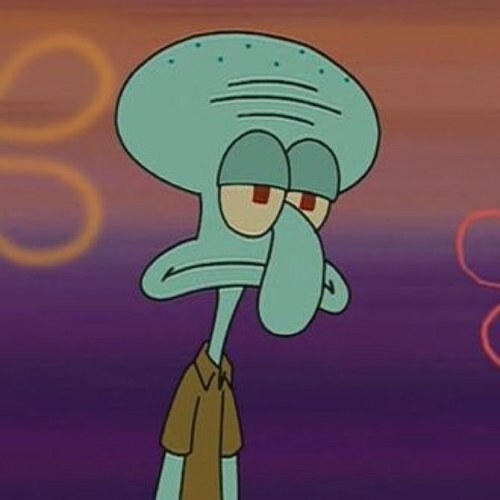 Squidward Tentacles from Spongebob Squarepants has been the subject of a Lost Episode creepypasta. You can probably guess the rest. As I said above, there are entire websites devoted to the creepypasta genre and droves of fans, some of whom create their own stories and upload them online. What makes this genre so popular? Well, I’m still pretty new to the genre, but I think that there are several factors that may explain this popularity. One is that creepypastas tend to be a bit more extreme than mainstream horror. They’re often accompanied by scary imagery or some other strangeness, and that adds to the creep factor. There’s also the very subject matter of creepypastas: with some stories, you can take elements from them and create your own stories. Slender Man is a character who’s been featured in a variety of media, and plenty of people have made creepypasta based on him. And then there’s the virality of creepypastas: you’re encouraged, by their very nature, to keep sending them around and around the Internet. There’s a certain power in that very concept that’s exciting, and encourages creators as well as readers. It’s especially interesting when you consider that this is a genre born on the Internet, which has the reputation of having content geared towards people with short attention spans, and also is sometimes considered the gathering place of creators who couldn’t make it in the “real world” (eye roll please?). Personally, I think creepypastas are quite entertaining. Some of the stories are very good, very creepy, and I enjoy listening to readings of popular creepypasta by YouTube artists. I know some people find them too extreme or that they lead to violent behavior (a subject for another time, not going into it here), but I see it as no different than enjoying a Stephen King story or going to see the latest scary movie. Just a different format with different rules that I would like to learn (though not write; by the very nature of creepypasta, I wouldn’t have as much creative control or make some side income off my work. Maybe I’ll try writing in the style though for a novel someday). Are you a fan of creepypasta? What is it about them that you like or dislike? What are some creepypastas that you’d recommend trying? Have you found the youtube channel of the girl who reads these aloud and makes videos with creepy photos? if I was good I’d pass on the link – she did the Russian Sleep Experiment and it was quite well done. There are several, including one where a woman occasionally does creepypasta readings in such a way to induce relaxation as well as scare. Which one are you talking about?